After the launch of Asus Transformer Prime, we finally have a tablet which runs on quad core processor so next thing in the concept is Tegra 4 powered tablet. The concept of Nokia Xbox gaming tablet is given by Bob Freking. The designer of this concept imagines a device which comes with super processing speed of Nvidia Tegra 4 (Wayne) processor. 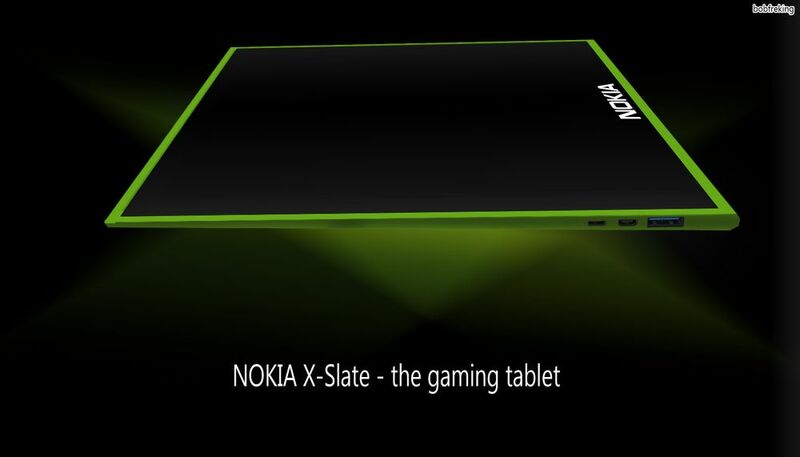 Actually, he wants to come with a gaming slate that can compete well with Sony Tablet S and Tablet P.
There are two version of this Nokia Xbox slate; one is 320GB and second is 250GB.If you have a desire to enjoy xbox gaming experience on the go then start voting for this gaming tablet of Nokia. For your information, we are hearing some rumors about the Nokia Windows Slate in this year so there is a possibility that Nokia and Microsoft comes with a similar gaming slate. Incase you are interested in this super fast Nokia Tablet 2012 then you need to arrange good cash as designer warns that it is an expensive tab. This device will lets you to download real xbox games of your choice on it and then enjoy the wonderful gaming experience whenever you want. The form factor of Nokia X Windows Slate is slightly sloped as it is thinner at the top yet bulkier at the bottom. It will come with pack 2 GB of RAM, the Nvidia Tegra 4 Wayne processor (1.5GHz) and a big 9500 mAh battery. For enjoying the gaming experience on the go, it will have a Wi-fi support and good thing is that it will work with either 4G or 3G network. There is a 2MP snapper on front side which lets you to enjoy a seamless experience of video calling. It can dual boot Windows 8 or the dashboard and will bring 2 USB ports, a mini HDMI. 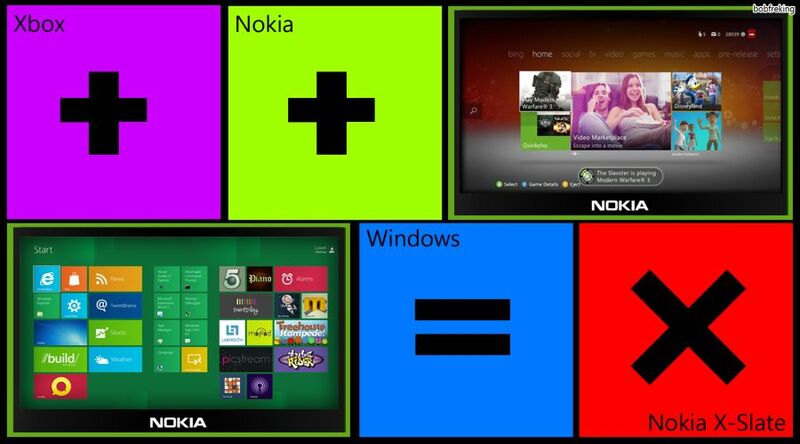 Overall, Nokia X Slate is a terrific concept and we just hope that Nokia and Windows are working on the same.